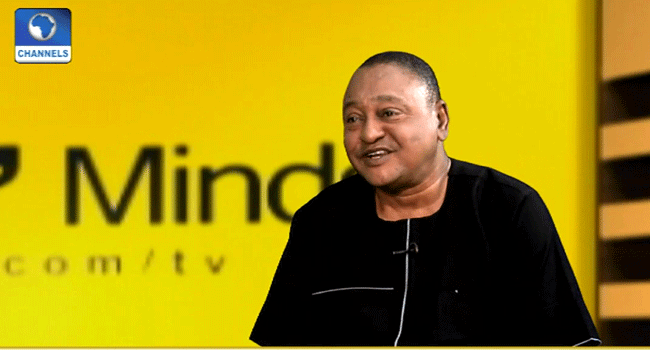 Veteran Actor, Jide Kosoko has said starting up entertainment as a child actor was a herculean task as he had to combat with his parent’s approval. Speaking on Channels Television, Rubbin’ Minds, Kosoko said both his father and mother didn’t approve his sojourn into the entertainment scene as a child and his mother even flogged him bitterly after she saw his first performance. “Back then, no parent wanted their child to come into this (Entertainment Industry). Especially my father will tell me, “Jide you are a royal Prince of Lagos, you should not be entertaining people, in fact, people should be entertaining you. He narrated how he successfully auditioned for a role as a child actor without informing his parents. Kosoko said he felt like a hero when he got back to his neighborhood after his first performance but his mother flogged him on that day. “One of our tenants, Dele Toyinbo, I never know he was a member of a traveling theater group. When I eventually knew, I invited him to my primary school where he taught us some things on our entertainment day. “So, when they wanted to have a production in their group, titled Makanjuola, he thought of me as the lead child character that they needed. So, I went there and I was picked after the audition. This was like a dream come true. I hid all the information from my parents to ensure I meet up with the programme. “So after the transmission of the programme and I returned home, people started hailing me. I never knew they all watched me. After I dropped at the bus stop they started hailing me and I felt like a hero. “I never knew my mother also watched it and laid an ambush for me. So when I got home, I got the best beating of my life that day. But to God be the glory, I continued to convince them that I will try as much as possible not to let it affect my academics. The veteran actor said that fame in the entertainment industry is easy to attain but only a well-trained actor can remain relevant for a long time. When asked to express his opinion about the country on the 57th Independence Day celebration, in comparison to the situation of things in October 1st, 1960, he said, “Development continues, no doubt about that, but then, we had more peace. We cannot really compare because of the population of Nigeria, back then. There has been a tremendous change, both positive and negative.